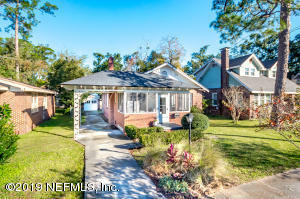 Feel at home in this 1930's Murray Hill brick bungalow on the beautiful Ramona Blvd! Experience the natural light throughout the cozy living room and spacious bedrooms. The updated kitchen includes granite counter tops, stainless steel appliances, and ample room for a breakfast nook. 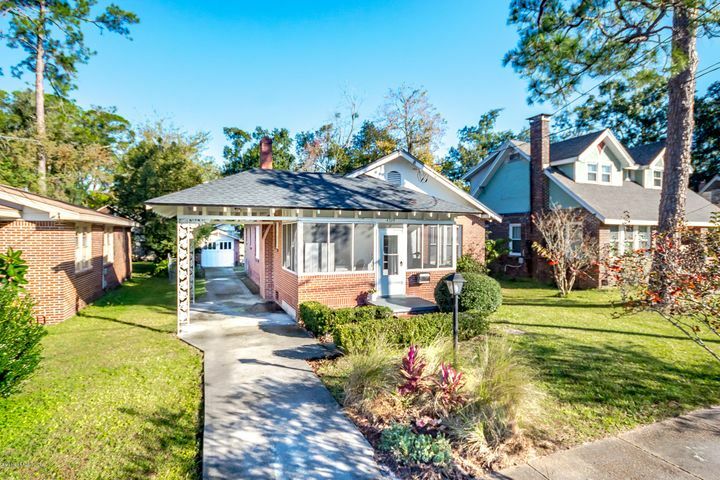 Filled with original details, take time to admire the hardwood floors, built in book shelves, crystal knobs, and the arched wall. Spend outdoor time with loved ones in the large screened-in front porch or in the sizable back yard. Ease your mind knowing the HVAC, roof, plumbing and electrical are newer and that the foundation has been leveled. Walk or bike to neighborhood dining, shopping, entertainment, and Four Corners Park. This home is a must see!